Have you ever seen a sloth in person? If not, then maybe you should visit our home, Costa Rica! 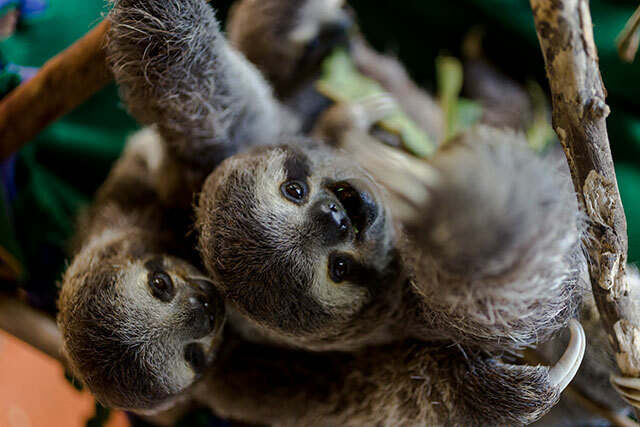 Two species of sloths are native here: the brown-throated three-toed sloth and Hoffmann’s two-toed sloth. 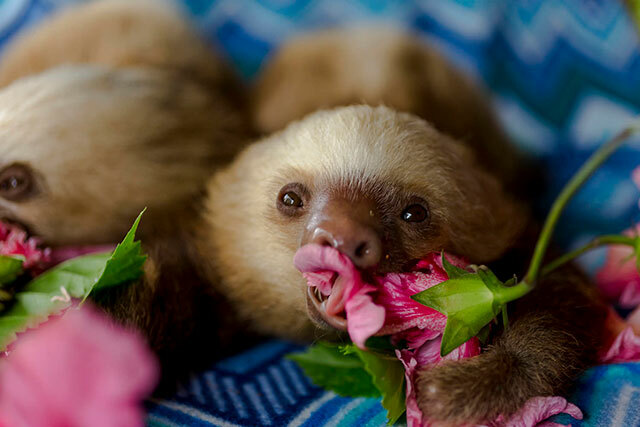 Sloths can be seen throughout most of Costa Rica, and they have even been spotted in urban areas. 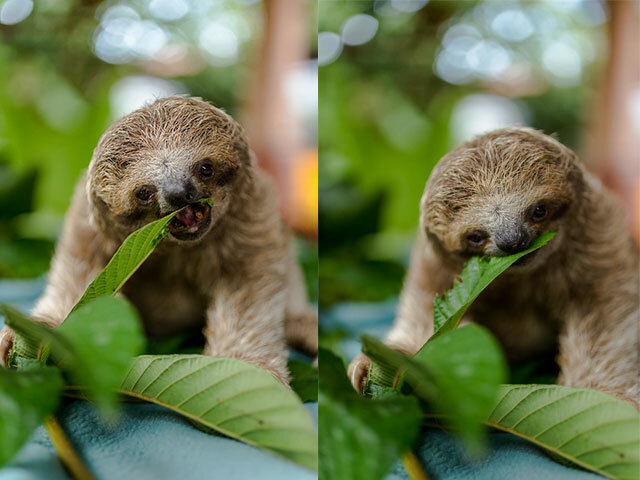 Since it’s International Sloth Day, we’re celebrating with a few photos of one of our cutest residents. International Sloth Day was created in 2010, during the first International Meeting About the Wellbeing and Conservation of Sloths. 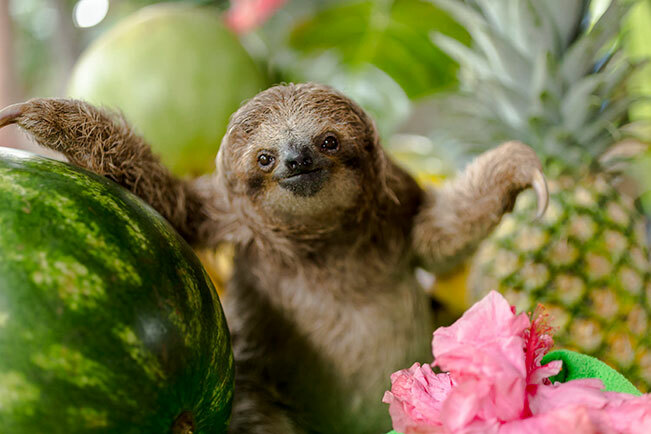 Like many days that celebrate important issues, its goal was to create awareness: increasing recognition of sloths, illustrating their significance to the forest, and emphasizing the necessity of understanding these animals. Although these days it feels like sloths are everywhere, you can probably remember a time before they were popular. 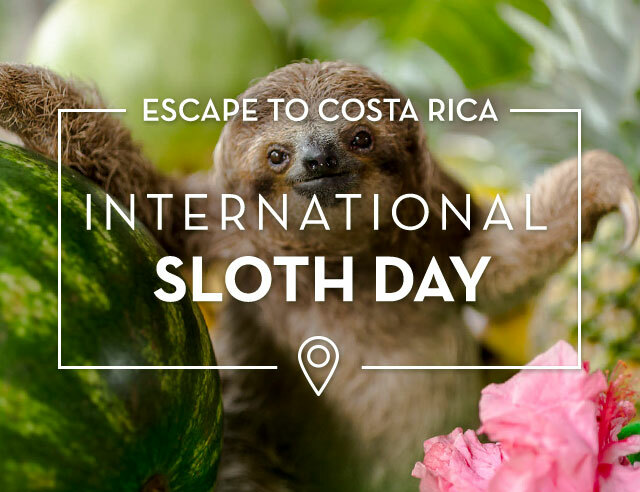 Here in Costa Rica, we have recognized their contribution to tourism for many years, but in other parts of Latin America where sloths are native, the threat of wildlife trafficking still poses great problems for these animals. 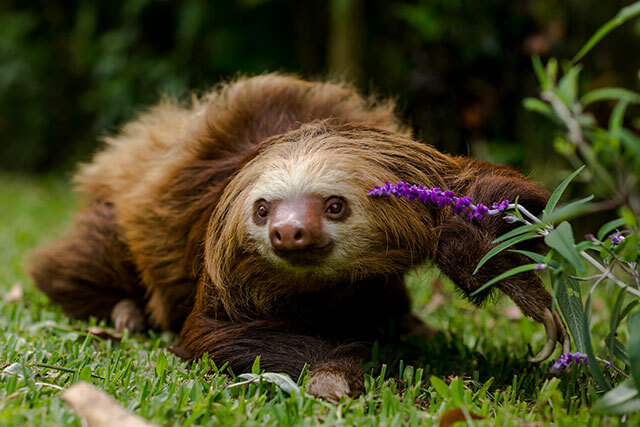 Besides being cute, sloths are also very unique, having adapted dramatically to serve a particular role in their tropical forest environment. Sloths are the world’s slowest mammals. Since they spend 90% of their time upside down, sloths’ bodies have adapted to protect against the effects of gravity. Sloths are arboreal, meaning they live in trees. 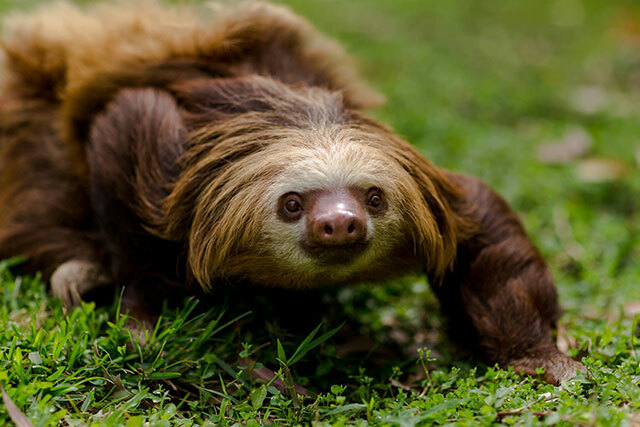 Three-toed sloths only come to the ground once a week. 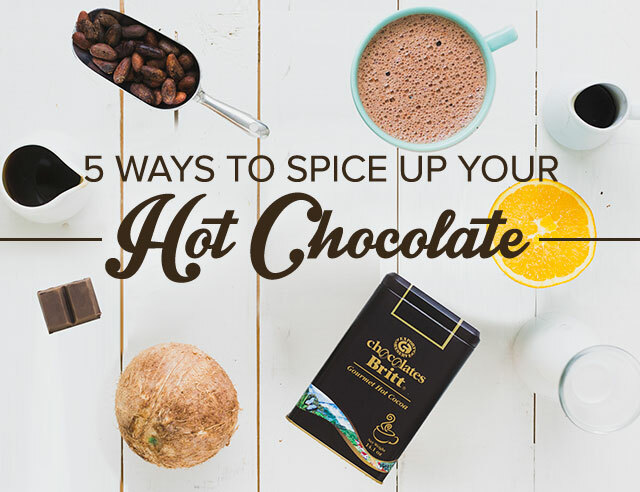 Their metabolism is notoriously slow—one meal can take an entire month to digest! If these pix inspire you make the trip to Costa Rica, don’t forget to come and see us here at Café Britt!